West Virginia prosecutor disciplined for pulling gun, threatening to shoot office Halloween decorations. 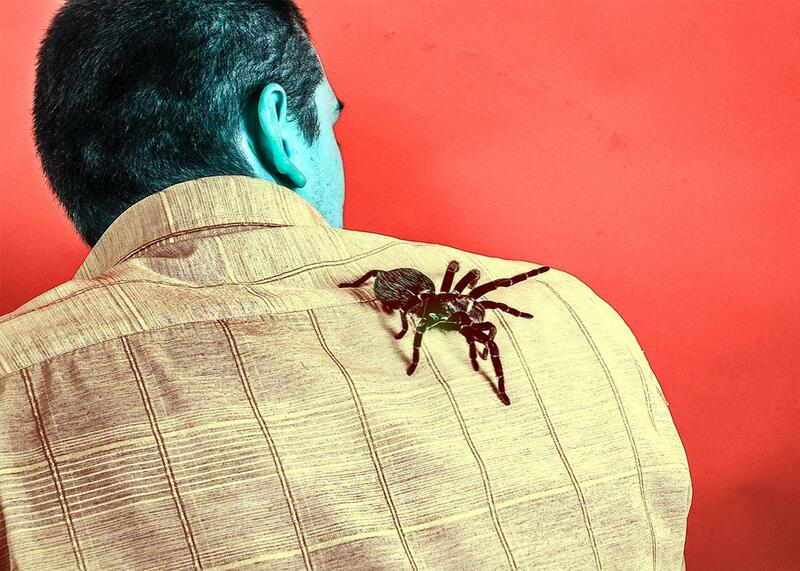 One man’s arachnophobia causes an office freakout, brings about a no-guns-at-work policy. Photo illustration by Juliana Jiménez. Photo by Edyta Cholcha-Cisowska/Thinkstock. The stereotype about prosecutors is that, when dealing with criminal defendants, they reach for the biggest stick and wield it as ferociously as possible until the perp cops a plea. Chris White of Logan County, West Virginia extends this policy to scary fake spiders: According to WCHS Eyewitness News, the assistant prosecuting attorney pulled a gun after spotting a cluster of decorative Halloween-themed arachnids that had been put up around the office on Oct. 5. According to White’s boss, Logan County Prosecutor John Bennett, White has arachnophobia and became disturbed when he saw the spiders. This was, to be sure, an overreaction, though it must be said that Oct. 5 is very early to be putting up Halloween decorations, so White’s surprise was not entirely unreasonable. Plus, the gun wasn’t even loaded! Nevertheless, White, who has worked with Logan County prosecutor’s office for five years, was suspended indefinitely in the wake of the incident. “I never saw it coming, that’s for sure,” his boss said. “Obviously, I wouldn’t have even hired him if I had seen it coming. And the fact that he’s been there five years and we haven’t had any incidents like this also, to me, is a pretty good indication it’s certainly out of the ordinary,” Bennett said. White’s behavior provoked a new policy, according to WCHS: no guns at work for anyone except the office investigator.